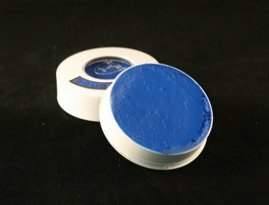 This was our first attempt at making anything from latex. It is actually a fairly involved process as you must create a sculpture to cast a mold, which you then use to create your latex object. We primarily followed our own version of Pam’s creation which you can see on her Latex Lekku page. 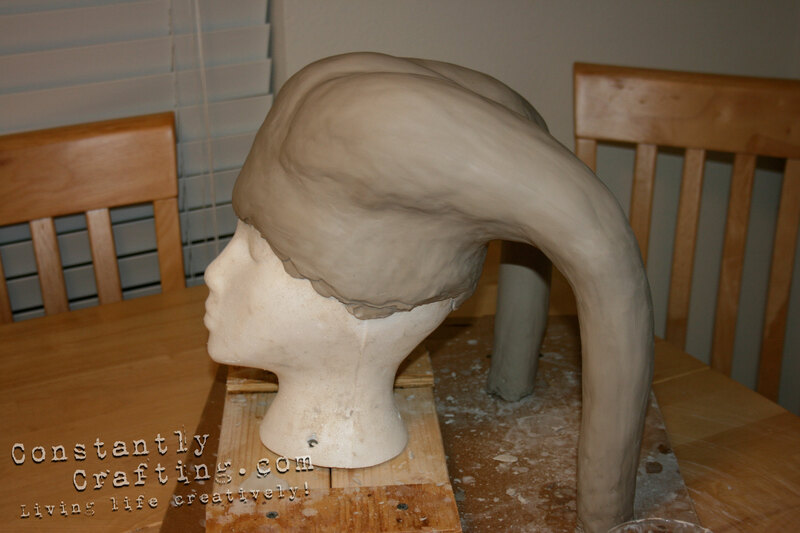 Sculpting the headpiece was actually a lot of fun! The biggest learning from the process though is that you need to find a head bust which is correct for your end costume wearer… Our final product was a little too small and gave my sister a headache since it was a little too tight. Pam’s article mentions using a bar inside the sculpture to keep the parts from breaking off… That is going to be a great idea if you make the headpiece any linger than we did. I do not remember having any breaks in the clay, but it was something we constantly feared as we added more and more clay. You can purchase it from Amazon. Playing with plaster is always fun! and in our case very messy. 🙂 Remember to coat your sculpture with petroleum jelly to keep the cast from sticking to the mold. 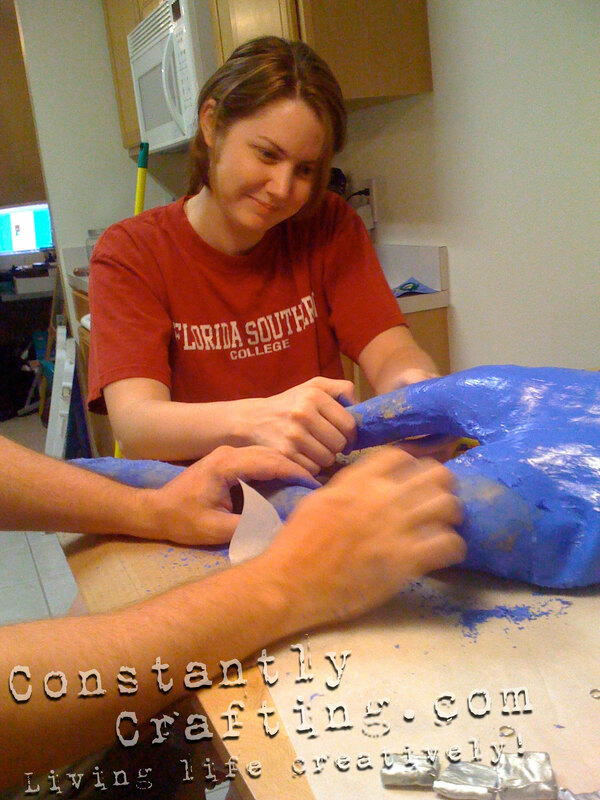 Lining the mold with strips of gauze strips as we applied the layers of plaster of paris was key to avoid our cast form breaking. The trickiest part of this process was to figure out how to make a complete (front and back) mold which could come apart… We tried petroleum jelly, but ultimately ended with a layer of plastic wrap. The “leather” used for both the costume and the wraps around the headpiece were made from faux leather from Jo-ann Fabric. The pattern was made by looking at the movie version and “eye-balling” it. Had I known I would be blogging about the entire costume a few years later I would have taken more pictures and detailed notes to share… Perhaps if there is interest (let me know by posting comments) I may make another one to supply more details. We had the wrong color first (which is why you can see us pealing the paint off the headpiece… this was a pain!!!) So check your color first!!! We had a blast at Star Wars Weekends (Post with pictures of all of us coming soon.) Arriving with a blue Twi’lek jedi is definitely a cool way to visit Mickey Mouse. 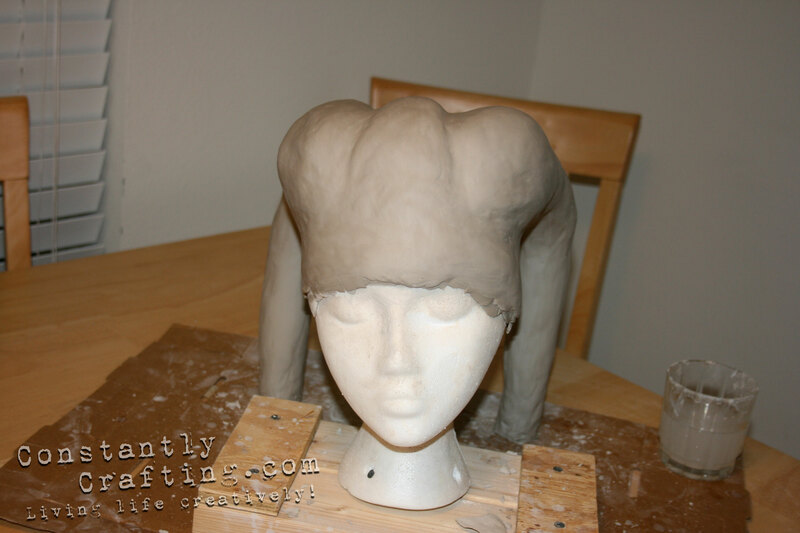 If you find this post useful and make your own Twi’lek costume, post back to us and let us know! We love to hear your comments/questions. 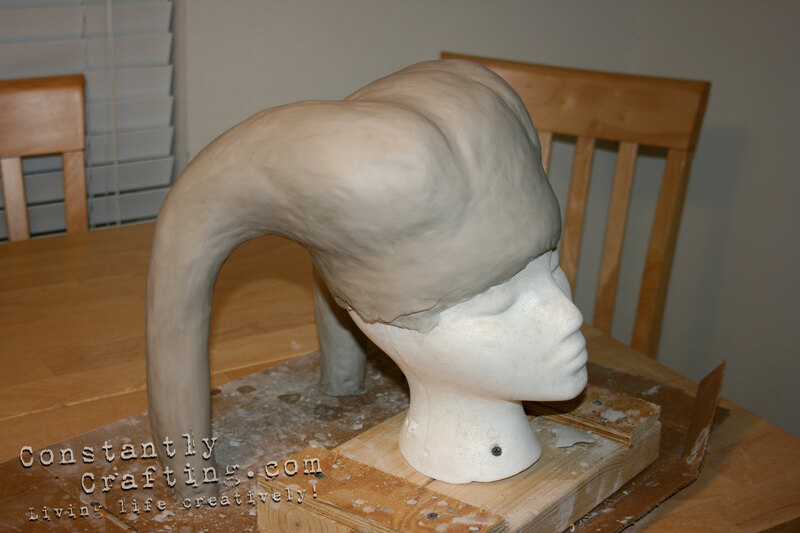 Pingback: Star Wars Twi'lek costume. What did you use for the body paint? What type is that? Did you put anything in the lekku or does the latex hold the shape pretty well? What latex did you use? Any advice on making the plaster mold? Ive never made a mold before so im not quite sure how to do it. Thanks! Hey there Drisana! Making your first mold is both fun and challenging. Remember it is a learning experience and don’t give up if it does not work 100% the first time. That said you might surprise yourself! We did stuff the latex after it came out of the mold. We stuffed it I think with pillow stuffing we bought at Joann Fabric store. As far as what latex we used, we used Woodland Latex Rubber . To make the mold we used: Dap Plaster of Paris . Hope that helps! How did you make the mold? 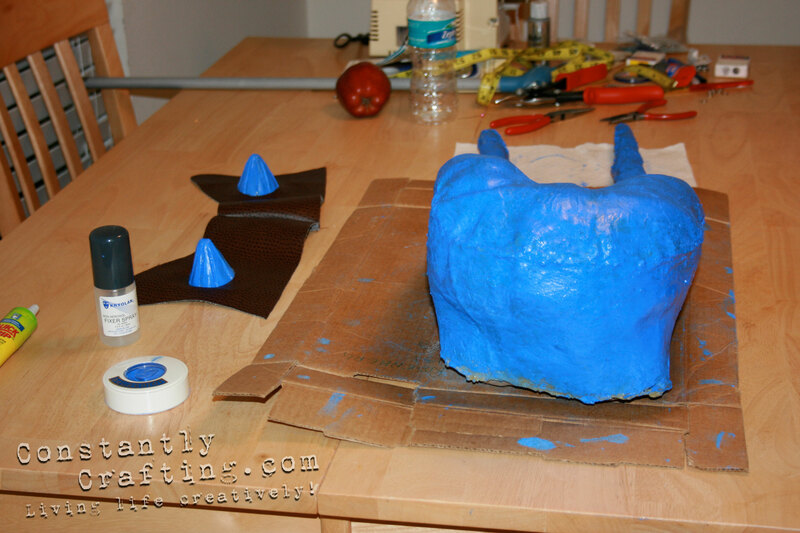 I’ve never made one before so I don’t understand the process :/ after the mold was made, what were your steps to creating the Lekku out of latex? Did you use a certain type of latex? Hello Elisa. I will see if I can write up a quick tutorial covering how to do this in more detail. Look for this to come over next week.